DreamWorks Animation SKG (DWA)’s “Madagascar 3” opened as the top film at U.S. box offices with $60.4 million in U.S. and Canadian theaters, edging out “Prometheus,” a science-fiction thriller from Ridley Scott. “Prometheus,” from NDreamWorks Animation SKG (DWA)’s “Madagascar 3” opened as the top film at U.S. box offices with $60.4 million in U.S. and Canadian theaters, edging out “Prometheus,” a science-fiction thriller from Ridley Scott. “Prometheus,” from News Corp. (NWSA)’s Twentieth Century Fox, the weekend’s only other new film in wide release, had $50 million in ticket sales, researcher Hollywood.com Box-Office said in an e-mailed statement. “Madagascar 3” sales beat the $53.8 million estimate of Box Office Mojo although were less than the $63.1 million opening of “Madagascar: Escape 2 Africa,” released in 2008. The animated 3-D movie received a marketing boost from a popular Nickelodeon TV show based on the penguin characters and ads featuring Chris Rock as a zebra performing a circus tune, Ben Carlson, co-founder of the research firm Fizziology, said in a June 7 interview. The film has little competition for family audiences until Disney (DIS)’s “Brave” on June 22. Before the weekend, Los Angeles-based Fox ranked sixth in 2012 revenue with $416.5 million in domestic ticket sales. Walt Disney Co. was first with $772.2 million.ews Corp. (NWSA)’s Twentieth Century Fox, the weekend’s only other new film in wide release, had $50 million in ticket sales, researcher Hollywood.com Box-Office said in an e-mailed statement. 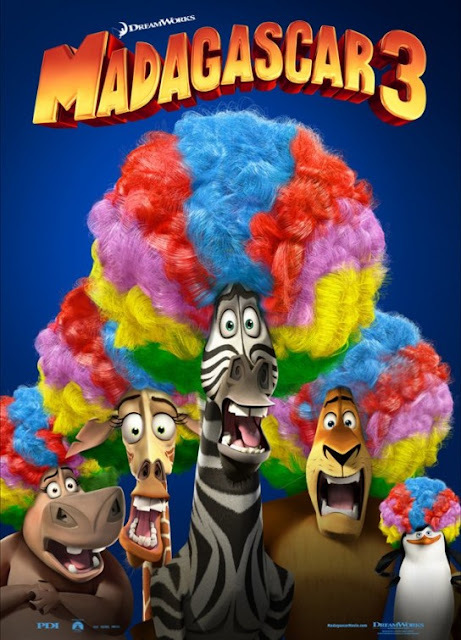 “Madagascar 3” sales beat the $53.8 million estimate of Box Office Mojo although were less than the $63.1 million opening of “Madagascar: Escape 2 Africa,” released in 2008. 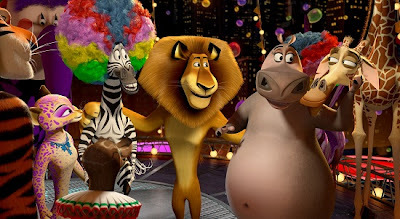 The animated 3-D movie received a marketing boost from a popular Nickelodeon TV show based on the penguin characters and ads featuring Chris Rock as a zebra performing a circus tune, Ben Carlson, co-founder of the research firm Fizziology, said in a June 7 interview. The film has little competition for family audiences until Disney (DIS)’s “Brave” on June 22. “It’s a very solid opening and I expect this to play well over the next several weeks as most of DreamWorks films usually do,” said Paul Sweeney, a media and entertainment analyst for Bloomberg Industries. “You usually find animated movies do well when the kids are out of school, so they can go again and again and again.” Before the weekend, Los Angeles-based Fox ranked sixth in 2012 revenue with $416.5 million in domestic ticket sales. Walt Disney Co. was first with $772.2 million.